Trying to graph a line from a given slope and y-intercept? Think you need to find an equation first? Think again! 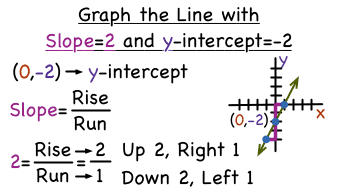 In this tutorial, see how to use that given slope and y-intercept to graph the line.